My PADI scuba diving experience in Taormina, Sicily, started in 2016 with Sea Spirit Diving Resort. 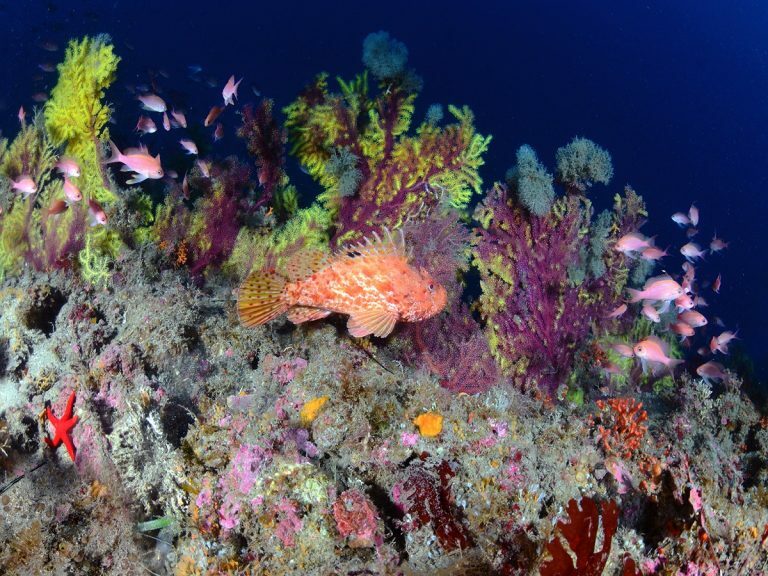 I decided to travel to Taormina, Sicily to complete my PADI Divemaster course. I chose Sea spirit because of the many amazing things I had heard and also because of the program they provided for me. It was an amazing experience to be fully immersed in Scuba diving and the customer experience. I learnt something knew everyday, from tying knots and assisting the skipper to giving my first fun dive briefing and guiding a dive. Carmelo and Cilla were great teachers and took great care of my education, always pushing me to experience everything that would help me as a professional. During the PADI Divemaster course, everything was very organised and structured with a plan of what I would do each day. 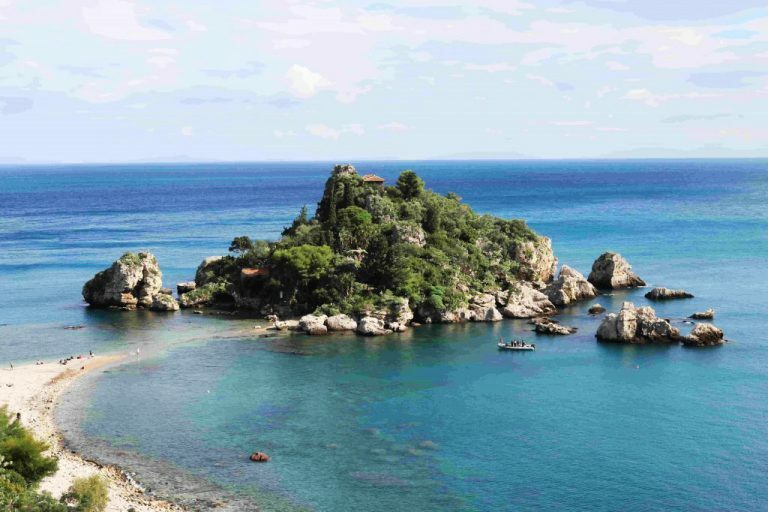 Each day we ventured out to the Isola Bella Marine Park in Taormina to conduct everything from snorkeling and Discover Scuba Diving programs to fun dives and a range of PADI courses. The team consisted of more than one instructor and I was able to assist each one, learning different techniques and skills which gave me a more varied experience. Sea spirit was the perfect place to gain experience because of the variety of customers we encountered, we meet people from all over the world, so not only is it perfect to begin to understand different customer needs but you also build a world wide network of diving friends too! Here, we experience cold water as well as warm water due to the changes of the season, so you learn to guide dives in different environments almost. I was even lucky enough to be employed by Sea Spirit once I qualified as a PADI Divemaster professional. I slid right into the working environment safe in the knowledge that I had completed the best training. My first year at Sea Spirit was a busy and all round knowledgeable experience. I not only dived for free during my course but I met many amazing people. At the end of the season, I started to feel that diving could be an opportunity for a progressive career and so decided to complete the PADI Instructor Development Course (IDC). This consisted of 15 days of intense classroom and practical workshops as well as a free pre-IDC internship. I did this with five other candidates and during this time we formed a strong bond. The IDC was my favourite experience yet! I learned a lot with PADI Course Director Mark Soworka and PADI Course Director Carmelo Sgroi. Both having experienced diving from all over the world with many years of teaching and guiding new professionals. The course gave me an insight into what an instructor life would be like and gave me the confidence and skills to be a great teacher. The following year, Sea Spirit gave me the opportunity to work with them for the season as a new instructor. As part of Dive-careers Europe, they offer a huge network of work opportunities and a network to meet other PADI professionals! This is my third year working with Sea Spirit and I feel I have come a long way from when I first began my career with them. They were always there to guide me and push me to become my best! I know I still have more to learn but I feel safe in the knowledge that my learning experience will not end here in Sicily. It is an amazing place to not only work but complete a course. Not only do you have the opportunity to have a great education for Scuba Diving but there is also the world outside of diving that includes, local cuisine, wine, culture and history. You can spend time learning about the complex history of Sicily with the beautiful town of Giardini Naxos which was the first Greek Colony of Sicily. You also have the beautiful city of Taormina near by with its classical architecture and beautiful views. Close by are many other destinations so there is plenty to explore! Not forgetting also the active volcano Mount Etna. If you are looking to become a Divemaster or are deciding a career in Scuba Diving, Sea spirit is the perfect place to start. It gave me the tools to begin a wonderful career and now with its world wide network, I ave the opportunity to go to further places, experience different types of diving and meet other PADI professionals like me. Become a PADI Open water Instructor! It will be the best thing you ever did.